We learned a thing or two the first time we went through this whole “new parent” thing a couple of years ago. First, it is that kids are EXPENSIVE. Second, it is that you really don’t need every little last gadget for your baby. 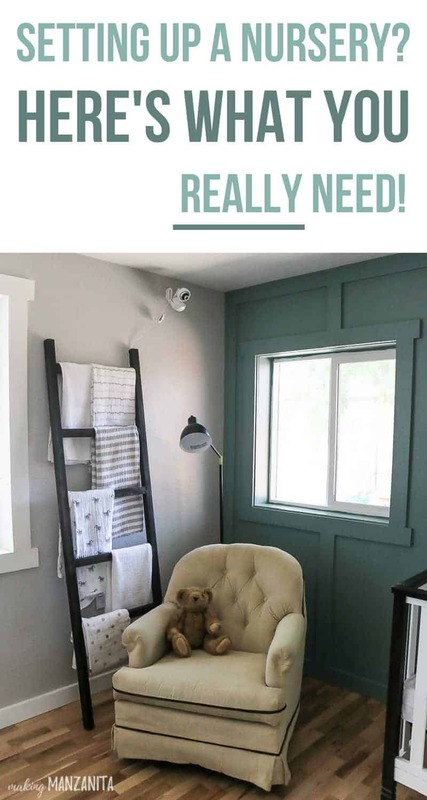 Truth be told, there are a lot of things that you really don’t need when setting up a nursery (…keep reading for 5 things you don’t need at all). One thing that we didn’t spring for the first time we were setting up a nursery as new parents was a video monitor with ALL the fancy bells and whistles. I thought we could save some money by getting a pretty standard video monitor that was easy on the budget. You may not realize it now, but your baby monitor is one essential item that you will use at least once a day without fail. You’ll be using that baby monitor for the few YEARS, all the way from infant to crawling and walking and into toddlerhood. There are not many other baby items that will be used for that length of time. 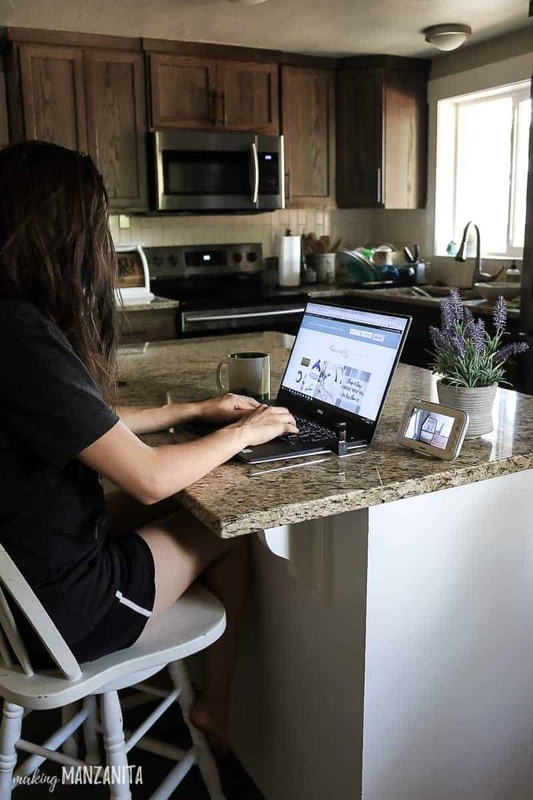 Your video monitor helps you keep an eye on your little one so they are safe and sound, which will definitely give you peace of mind through all of the baby stages. It is because of these reasons that I now think of the video monitor as an investment when setting up a nursery. And that fancy video monitor with all the bells and whistles is well worth it friends. This time around we are using the VTech VM4261 4.3” Digital Video Baby Monitor with Pan & Tilt Camera, Wide-Angle Lens and Standard Lens and loving it. The coverage is great, which is something that we were having troubles with using other baby monitors. The living room, where we spend most of our time, has concrete walls (it used to be a garage long long ago). The VM4261 delivers coverage up to 1,000-feet and has no troubles with that concrete wall! I love the two-way, talk back intercom feature that can also play soothing sounds or lullabies to help comfort baby before you even get there. Now that my oldest kiddo is getting ready to move up to the toddler bed, I realize just how important the wide-angle lens with the ability to pan around the entire room is. The camera moves in and out from close-ups to wide, 170-degree panoramic views. This is probably my favorite part of the VM4261 monitor. 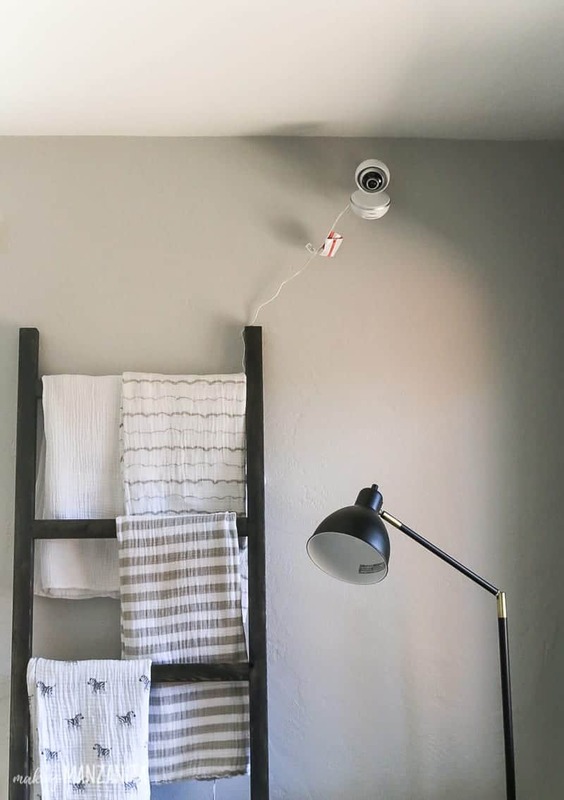 We’re definitely going to be getting a 2nd additional camera for the VM4261 so we can put one in our toddler’s room to keep an eye on him with the new toddler bed. If he does happen to sneak out of bed, I’ll still be able to see him in the room (AND use the talk back feature and tell him to get his booty back in bed!). If you’re on a tight budget when setting up your nursery, there’s a number of things that you DON’T really need. By skipping these unnecessary items, you can spring for the fancy pants monitor. You won’t be sorry! Changing Table – These are only used for a short while and then they are completely useless pieces of furniture. All you really need is a flat surface. We use the top of the dresser with a changing pad and put the diaper supplies in the top drawer. Works like charm! Wipe Warmer – I know that it may break your heart a little to hear the cries from your little one from the shock of the cold wipe, but if you get used to a warm wipe, what happens when you’re out and about and you don’t have it? The wipe warmer really just takes up more space and is unnecessary when setting up a nursery! Crib Bumpers – Not only do you not need these, but you SHOULDN’T have crib bumpers. They are completely unnecessary and can cause SIDS. You can read more about safe sleeping in the crib here. Full Matching Bedding Set – I know it may be tempting to get ALL the matching bedding set, but just like crib bumpers…a lot of the matching bedding is unnecessary. Your little one isn’t going to be sleeping with anything in their bed for a while. You don’t need pillows for the crib. We also recommend just a plain white sheet that can get bleached if it gets stained, which is a possibility…trust me. Diaper Stacker – This is such a silly item that is completely unnecessary when setting up a nursery. As if you could really keep the thing full with how fast you go through diapers! We have a three tiered basket on our dresser (which remember is our “changing table”) and one of the baskets is used for diapers. You could also use the top drawer of the dresser for diapers. 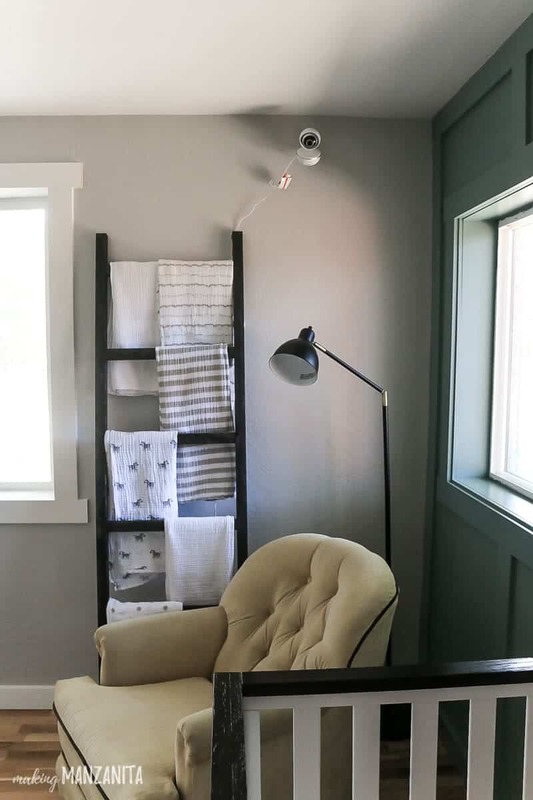 Having a baby and even just setting up a nursery can be overwhelming, that’s for sure. There are a lot of things to be sure you have on hand before the baby arrives. 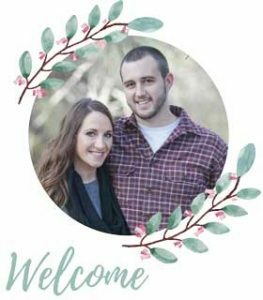 This baby checklist printable can help get you prepared!! By just getting what you actually need when setting up a nursery and avoiding things that are completely unnecessary (like wipe warmers?! ), you can save some money and spring for better investments, like the VM4261 monitor with all the bells and whistles. What things do you think are essential when setting up a nursery?? 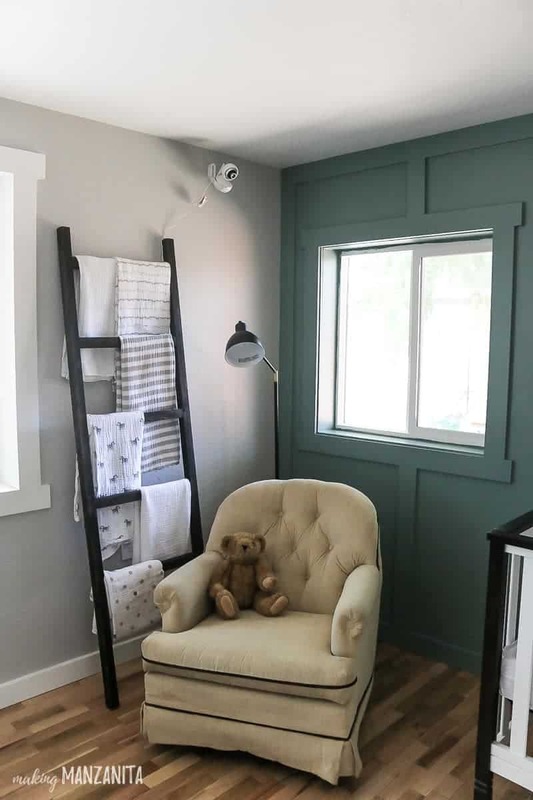 Setting Up A Nursery? Here’s What You Really Need (+ Baby Checklist Printable) – you are here! 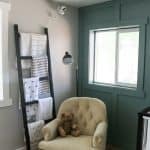 Hi, this is a huge setup list for the nursery. I have been thinking for a few days to set up my baby room. I think your recommended list is helping me with this. I will keep it in my mind and apply this when I am going for this. Thanks for the sharing such an informative article. Glad you found it helpful Julietta! Totally disagree about the changing table. I used one for my children, and my children have one for their children . Great to have a place to change diapers and also dress them . Great for after baths when drying and lotioning them up! Doesn’t take up much space great to put by a window!